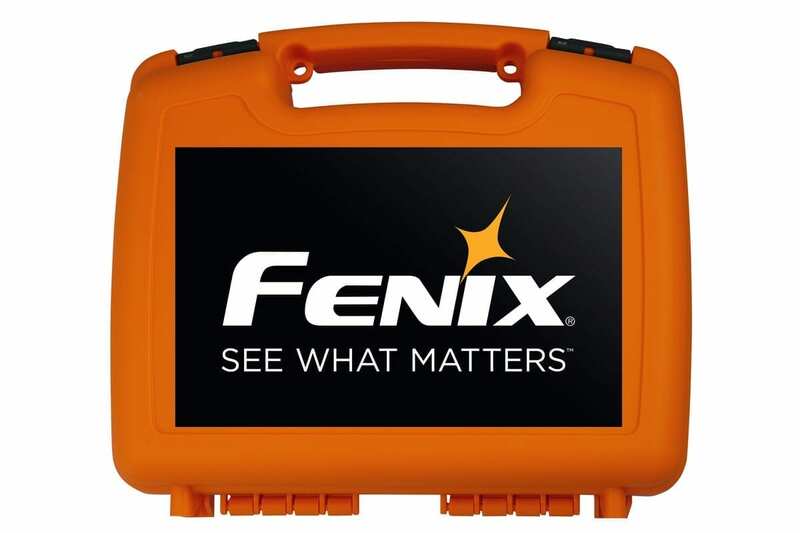 Keep your Fenix gear protected with this convenient carrying case. Made of high-impact injection molded plastic, this gear case is not only strong and durable, but has a great appearance. Universal foam system keeps your gear in place and adds extra protection from impact. Nice case. It will hold a lot of Fenix products. I have 6 Fenix lights, batteries charging cables, plus miscellaneous items. Great for all your Fenix gear. Why in the world is there a picture of a handgun and a loaded bullet clip in the pictures on here.. Its a flashlight case not a gun safe?! This product can also be used as a handgun case. It is not meant to be used in lieu of a gun safe, it is a carrying case for gear. Great little case. Will be getting more to help organize my lights. Got the black and orange. Two cases are enough to hold 3 Fenix headlamps, two handheld lights a CL09 lantern, and misc batteries in battery holders. Great case at a great price!